Convocation and chapel at Goshen College are part of what makes this place unique. Many schools have required chapel or forum or assembly. Many colleges don’t have a system quite like ours. Why do we have convocation and chapel? What is working well? What could we do to make them better? These are questions that I ponder frequently. I know some students don’t make a distinction between convocation and chapel, which meet at the same time of day, in the same place, with the same PowerPoint announcements running as one enters the Church-Chapel. Why convocation? My husband Ken teaches physics at Goshen High School. He slipped away during his preparation period on Feb. 16 to attend the China S.S.T. convocation because our son David was part of the China group. If you were there, perhaps you remember the video clips of each individual student or the funny and touching stories about shoes, foreigner celebrity and flowery language that gave us all a window into Chinese culture. At its best, convocation gathers a critical mass of the college community together for an engaging learning experience surrounding one or more of the Goshen College core values. 1 – Number of students who were defiant after being caught committing fraud. 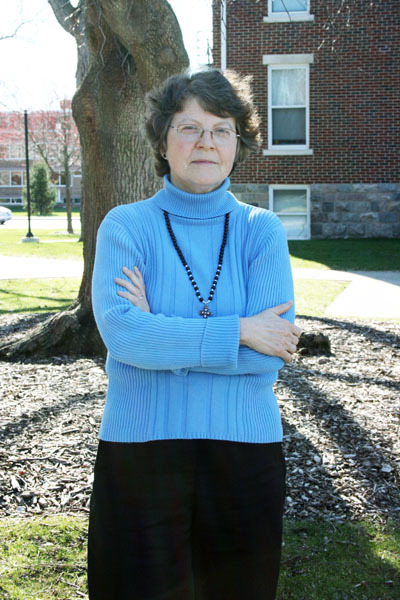 Becky Horst is associate professor of communication at Goshen College.